It's still pretty early in 2019, but we continue to get details for more and more products. In store at Gamestop, they are apparently taking pre-orders for Digivices. A generic 'Assorted Digivice' listing, for $20 each, has been added to their catalog. The SKU if they have trouble finding it (if you go in to pre-order) is 191562. At the moment this is not listed at GameStop's website. While we aren't sure exactly what these are at the moment (a V-Pet type device is an easy guess, but they could be fancy keychains for all we know), it does bring to mind the recent 'Digimon Original' listings. Whether these are different than the Digimon Originals, or the same thing, we aren't sure, but the release timeframe is pretty close. Hopefully we will find out details soon. Thanks to Comshep1989 for the news. 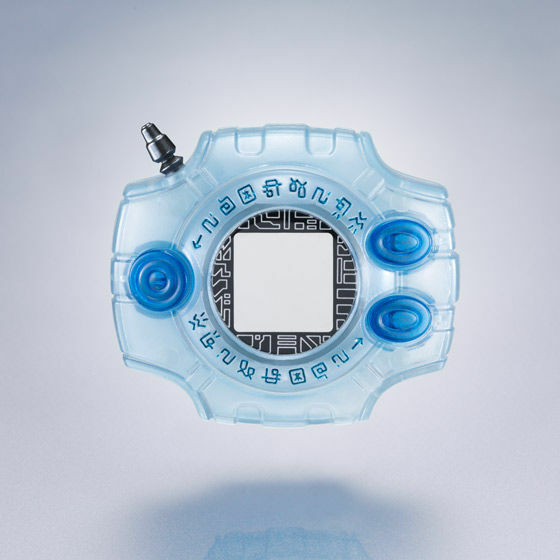 The image above is just an image of the CSA Digivice added as a visual. I don't know what it is... but I'm definetly buying it. A V-Pet type of thing would be a nice surprise, but my money's on fancy keychains. Well that's interesting. Wonder what it is. ...Keychains sound about right. Are those supposed to be the Digivices from Adventure Tri? But ipreordered mine at gamestop. So whatever it is. I'll have it? My guess is release of color adventure digivice with vpet games. Like they old days. The recent Tamagotchi originals are $19.99, so price is right. Pretty cool if we are getting anything in the US, what was the last domestic digivice release, the iC?